Lately I've been making videos to add to my new YouTube channel. It's a bit of a learning curve and takes a bit of time but I love doing it. It's awkward at first but I am getting used to it. I've been posting crafting videos but I have this video and another sewing project in the works to share shortly. 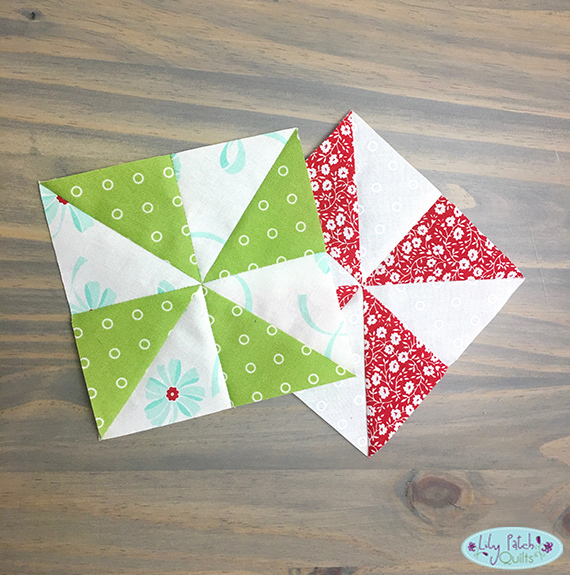 This video is a short tutorial on making quick and easy half square triangles to form this pinwheel block. I have a lot of 5" charm packs that I would like to use up. I pulled out some leftover squares of Bonnie and Camille's line called Hello Darling to make these pinwheels. They are a snap to make and finishes at 5" square. I'll be sharing videos as I have time. Please check out my channel and follow along to see tutorials on crafts and sewing projects. Wow Kim, your own YouTube videos, you go girl! Great tutorial video, Kim. Good luck with the YouTube channel, I'll try to find you and subscribe.